Khabib Nurmagomedov (pictured) blew his shot at the interim lightweight belt with his weight issues at UFC 209, so now he’ll have to settle for Edson Barboza. On Friday, the UFC announced the 155-pounders will do battle at UFC 219. The end of the year bash goes down December 30 inside T-Mobile Arena in Las Vegas. The removal cost Nurmagomedov dearly. A win would have likely landed the undefeated Russian a money fight against UFC golden child and lightweight champ Conor McGregor. Ferguson went on to capture the interim lightweight crown earlier this month by beating Kevin Lee at UFC 216, and it appears he’s headed to cash in against the UFC’s cash cow. 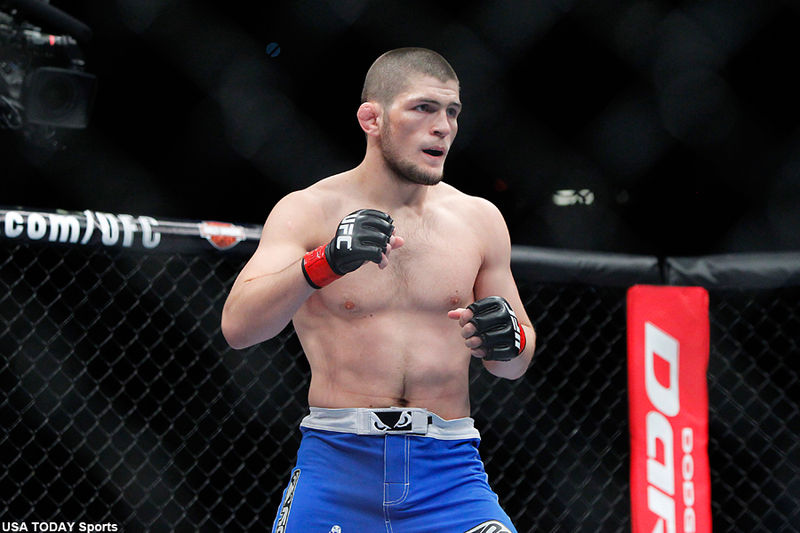 Nurmagomedov hasn’t been seen since submitting Michael Johnson last November. Due to various injuries, “The Eagle” has only fought three times since 2013. Barboza, meanwhile, has won four of his past five fights, including three straight. The Brazilian’s lone blemish during his current run came via submission to Ferguson.